Jaivik is the eminent name in the market for manufacturing, exporting and supplying a superior quality of Bio Plant Growth Promoter. We are offering the plant growth promoters which are extremely useful in increasing the rapid growth of the plants and crops such as sugarcane, wheat, pulses, cotton, vegetables and many more. 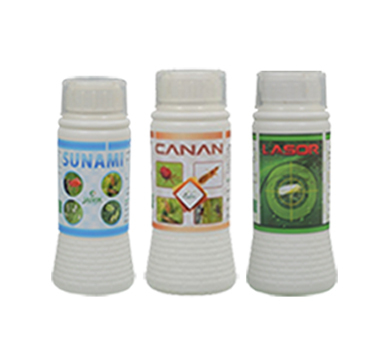 These products are the required materials which improves the total wellness growth and development of the plants. Our offered material is also artificially produced or obtained from organic by-products. These Bio Plant Growth Promoters are efficient in improving the crop, high quality as well as productivity considerably. They can be recommended for all types of crops. Along with the Plant growth promoters, the Amino acids are bio organic derivatives which are obtained from biological sources like fish waste, animal waste, plant protein like soyabean, maize, groundnut etc. With the help of the expert professionals we are preparing plant growth promoters under the strict supervision of the quality controllers. These products can be availed in different packaging quantities from us. We are having the strong tie-ups with various plant growth promoters’ manufacturers of this domain. These associations have helped us in providing the finest quality assortment of Organic Plant Growth Promoter to the customers in domestic as well as international markets. We are manufacturing these organic plant growth promoters using all the natural and organic ingredients that help in enhancing the growth, with quality of the final yield and productivity. Our products are manufactured using genuine components which are procured from the certified vendors of the market. The ranges of the products are hugely appreciated by the clients for its attributes such as effectiveness, precise composition, accurate pH value and longer shelf life. Endorse plants growth, increase crops yield efficiently. Support buds formation, keep flowers and keep fruits setting, promote fruits enlargement. Improve fruits taste, color and shape, thus improve fruits quality. Increasing rice tillering (shooting), increase grains filling and grains’ weight. Seeds treatment: increase seeds germination, improve seeds vigor. Improve crops’ ability of cold and drought resistance. Improve crops’ resistant ability to diseases. Relieve the chemical and harmful stresses from pesticides and herbicides. Inspected years ago in this domain, we are flourished with the trade name of Jaivik Crop Care for manufacturing Plant Growth Stimulator. Along with the different types of pesticides, insecticides, we are even offering bio plant growth promoters, plant growth stimulator that can be applied to a larger range of plants. Our offered plant growth stimulator enables the plants to use the nutrients more proficiently which will effect in stronger plants with enlarged aroma and flavor as well as superior yields. We are manufacturing the plant growth stimulator which contains Carboxylic Acid, Amino Acid, Nitro Benzene and Emulsifier. This plant growth stimulator are used on the berry plants as they help to give a good shape, color, size, weight and sugar concentration to the berries and they have been priced at a very reasonable rates in the market. After doing various researches on this, chemicals are organic in nature and having high performance. Reckoned as an eminent business name, we are voluntarily engrossed in the area of bringing forward a comprehensive assortment of Plant Growth Regulators. Plant growth regulators are also known as plant exogenous hormones that are synthetic substance similar to natural plant hormones. Our offered Plant growth regulators are used to regulate the growth of plants and are important measures to make sure agricultural production. Our offered regulators are not dangerous to the human health if they are used in harmony with the good agricultural practice. When it is used in excess the crops grow excessively fast, resulting in ripening on the fruit surface with the core enduring raw, which unfavorably involve the tastiness and quality of fruits. We are fabricating these regulators using the premium quality of organic extracts after sever research and quality checked by the quality checker.